First off, for those of you that don't know. I'm the stay at home mama of two little boys. Our farm life in Oregon is wet, muddy, hairy and all around dirty. 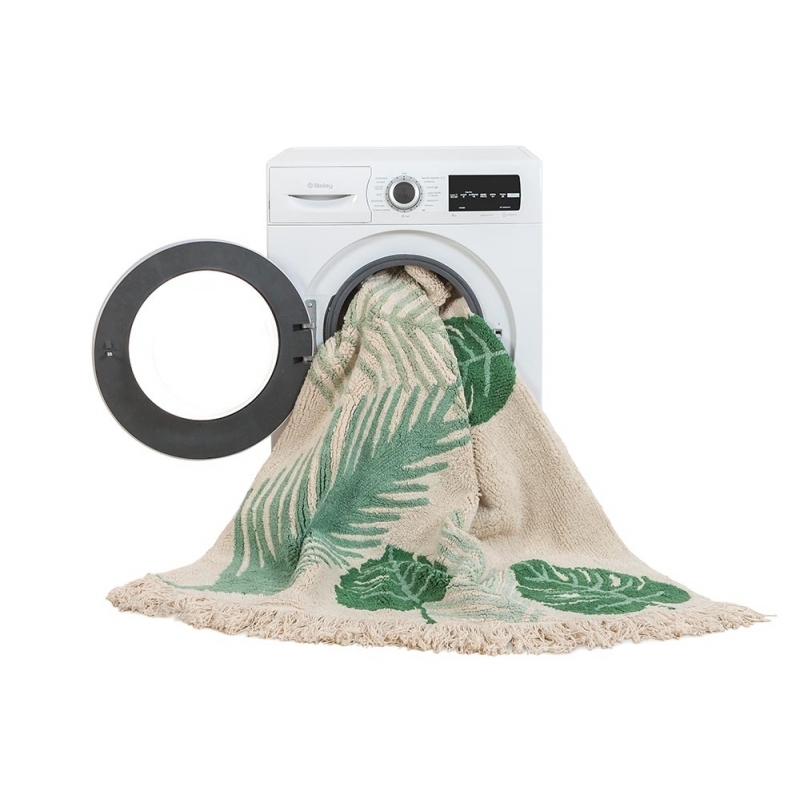 So naturally when I came across the Lorena Canals machine-washable (in a standard washer & dryer) line of rugs and cushions, I did a happy dance! Lorena Canals is an all natural home collection. 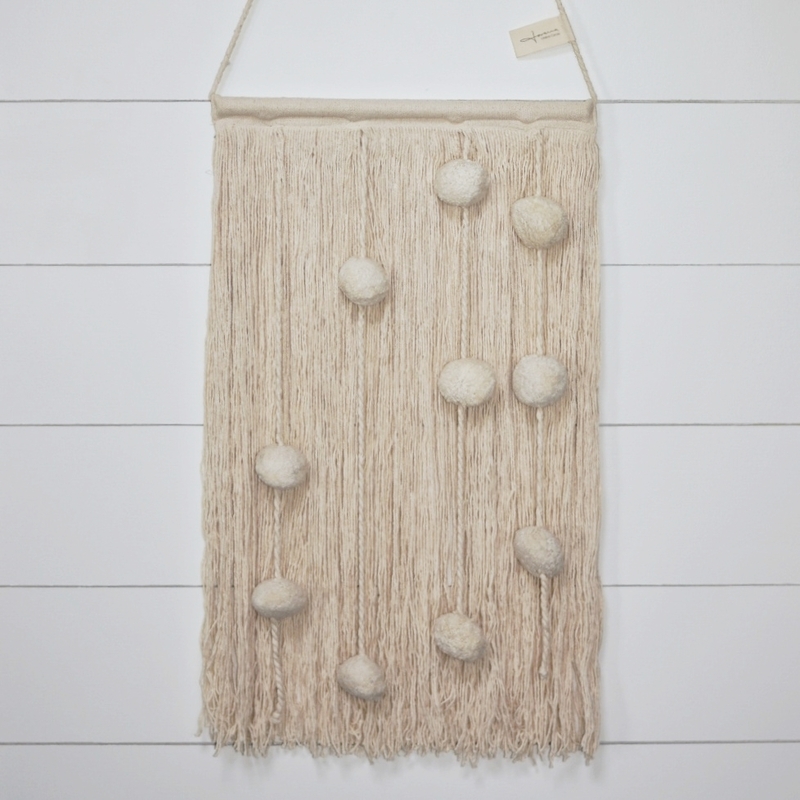 This collection includes rugs, cushions, blankets and wall decor. 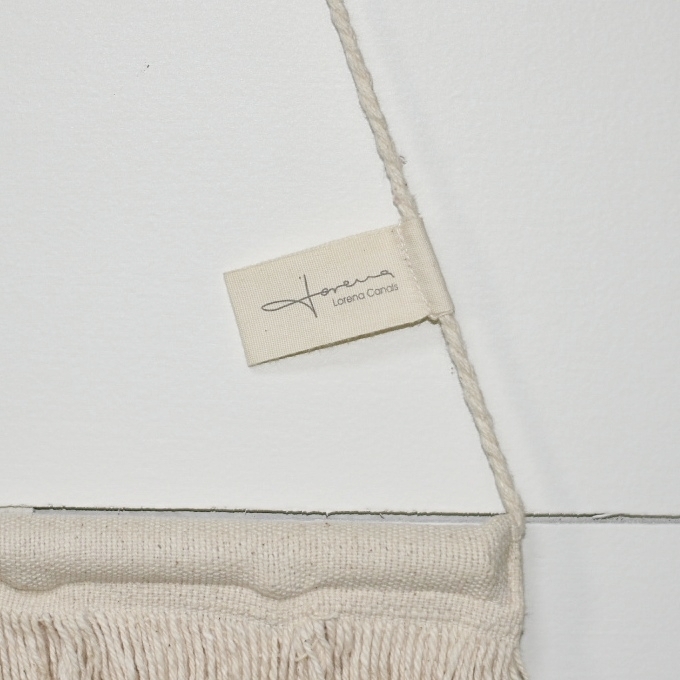 The products are designed in Spain and handmade in India. 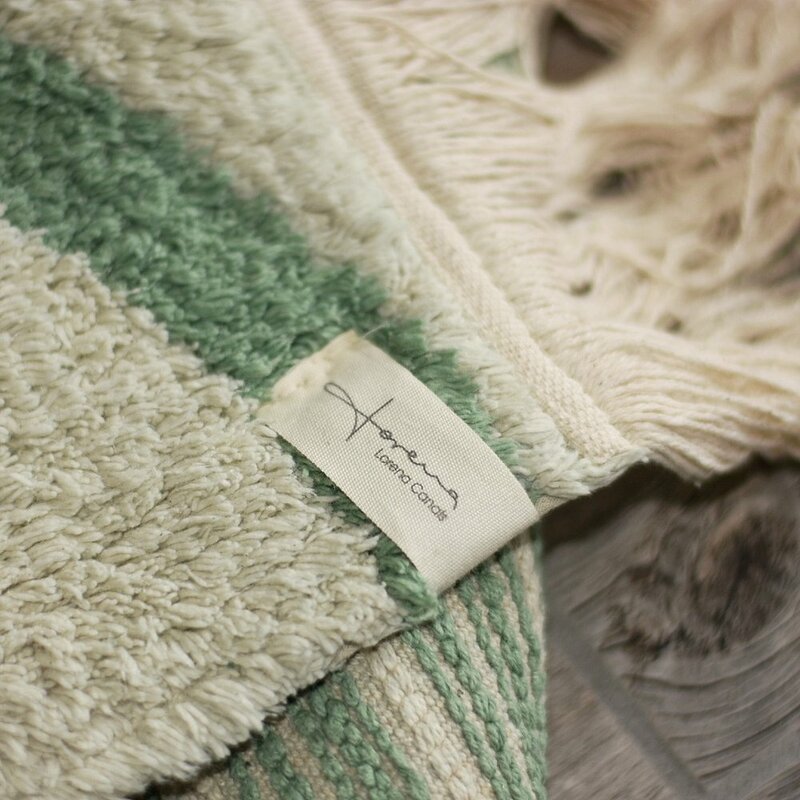 The rugs are eco friendly and contain no VOCs, like most other carpeting and rugs. It's easy to see why these products are loved by so many top celebs and have been picked by Vogue as one of the top baby products for celebrity nurseries. Even the proceeds support the Sakula project, and provide schooling for children in India. Compliments of Lorena Canals, we chose to bring home the Tropical Green 4'7" x 6'7" rug and the Cotton Field wall hanging. We were looking to lighten up our space as well as add an element of warmth and these pieces did just that. We installed faux barn wood ceramic tile flooring on the first floor of our home for durability, so rugs are a necessity. Bringing a bit of the outdoors in, with this green foliage design, lends a refreshing hand to this space. The wall hanging speaks for itself. It's simple, soft and stunning all on it's own. 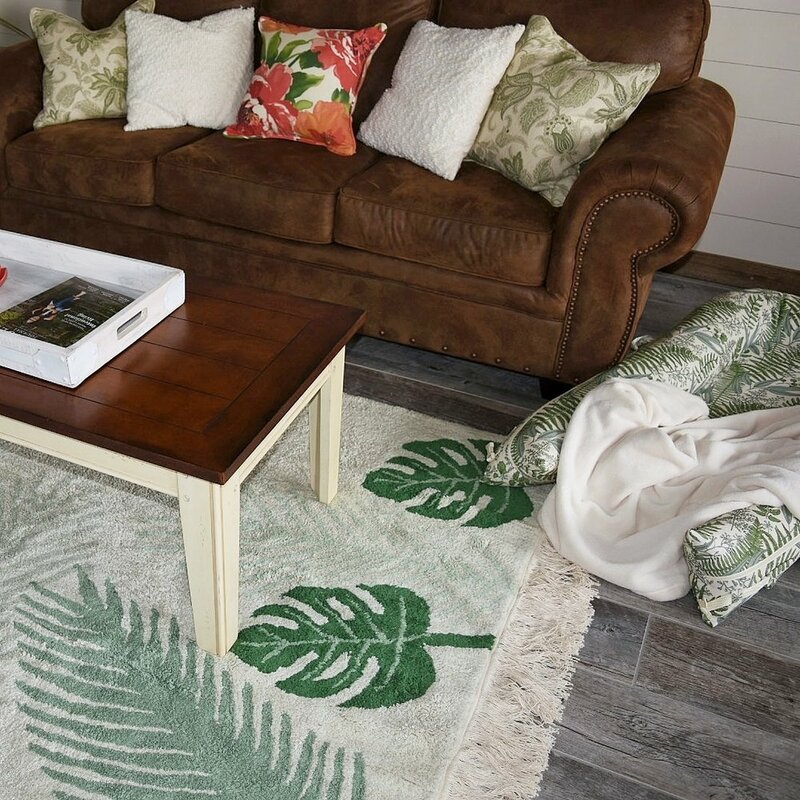 I absolutely love the way it ties in the fringe edge of the tropical print rug and brings a whimsical warmth to a once bland wall. The rug is extremely well made. It's flexible and very plush. I do have to be a bit careful vacuuming the rug, especially because of the fringe edge. I found that opening the vent on the vacuum & allowing the suction to decrease helped tremendously. If you have a robotic vacuum (we have both) I would suggest rolling up the fringed edges of the rug and allowing your robot to maneuver around them. The washing/care instructions are simple & straight forward. Wash separately at maximum 30 degrees. Wash using a soft washing cycle. Fluff may appear. Simply sweep your rug with a stiff broom for the first few days in the direction of the plush and vacuum clean it regularly. After the first washing my dryer lint trap was very full (shedding is normal), but I noticed minimal fluff on the actual rug itself. I plan on washing this rug as little as possible, in order to keep it looking new, for as long as possible. But knowing it's an option is a huge piece of mind for this boy mom! These rugs do come at a cost. So naturally, I would prefer to purchase them on sale and I wish there were even more design options, but the style, quality & durability are definitely there. So like most things in life, you get what you pay for. With that being said I do plan on adding a few more of these pieces into our functional farm life and I genuinely suggest all you mama's out there do the same.